In the natural colour of un-dyed cotton with a hint of forest green. Machine washable at 60 deg. 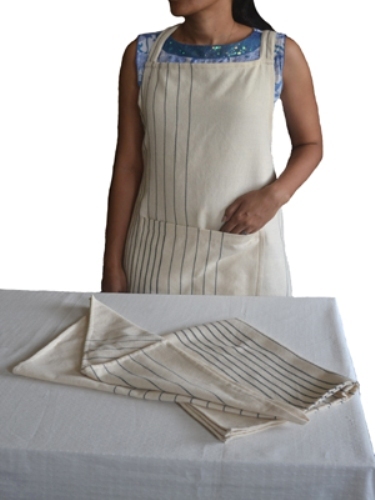 Handwoven and Hand stitched in Bharat Mata Kusht Ashram, Faridabad and in Khadi Udyog Kusht Ashram, both leprosy communities in North India.